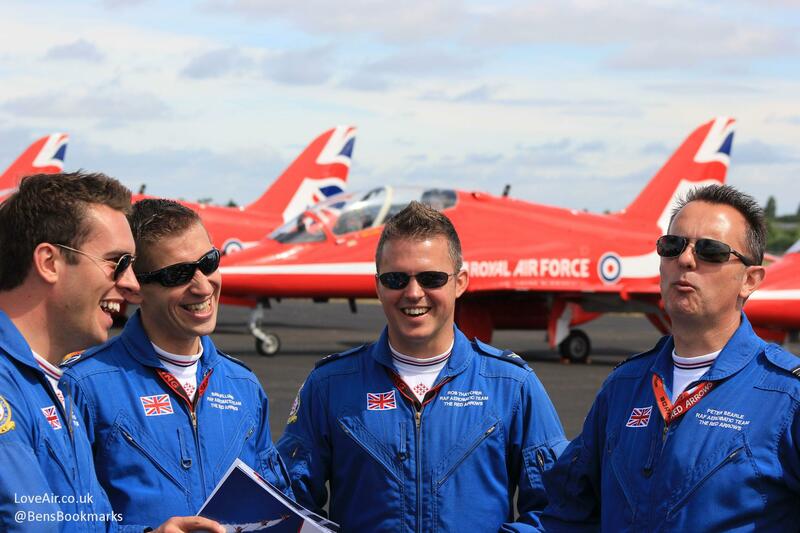 Airshows are a great day out for individuals and families. 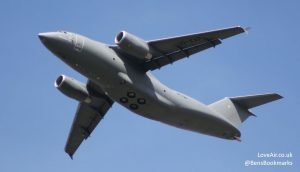 They can be enjoyed by anyone from aviation enthusiasts to those who may not a first consider themselves interested in aircraft, but who enjoy the spectacle and the occasion. With that in mind here are 5 essential tips for enjoying airshows that will help you to make the most of the day, whether it’s a big international show or a smaller event on a grass airfield. Obviously the size of the airshow is a big factor that determines many things, not just the size of the queues for the loos. So keep that in mind when planning your day out. Parents who have experience of any kind of outdoor event involving their children will probably be familiar with most of what comes next, but check through anyway as there may be one or two things you haven’t considered. The airshow season in the UK is from spring to autumn, so there’s bound to be a wide variety of weather and some events can be cool to say the least. 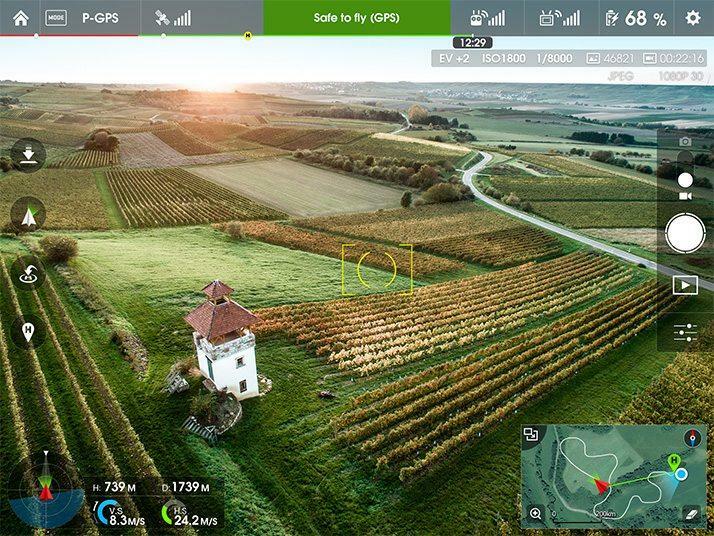 Airfields tend to be wide open spaces exposed to the elements! As the day approaches keep an eye on the weather and check it again on the morning you leave for the show. Don’t rely just on the main TV news for this as the weather at the airfield may by very different from the regional forecast. There are plenty of fairly accurate apps for this, like WeatherPro which comes with a free and a paid version. Airshows are rarely cancelled due to adverse weather, but it would be shame to make the journey only to find that it had been called off and you neglected to check before leaving. Once you know what the temperature is likely to be you can choose appropriate clothing and footwear. Your enjoyment of the show is going to diminish rapidly if you get cold waiting to watch pilots put on a display. It’s highly likely that you’re going to be standing on grass, whatever the size of the airfield. If there has been any recent rain you will notice the damp. If you don’t plan on bringing any folding chairs then a thick picnic rug is a good alternative. If there’s going to be any sun remember to bring the sun cream. Every year thousands of people return from airshows with sun burnt faces and necks because they’ve spent several hours staring up a the sky and forgot to put on some protection. It is an unfortunate fact of life that the catering at outdoor events tends to be overpriced, but it is convenient and there’s usually a fairly good variety. The other disadvantage is that you have to queue for it, so sometimes it pays to get an early lunch and avoid peak times. The obvious alternative is to bring your own, but that means you have to prepare it and carry it to wherever you intend to sit. That might be quite a long way from the car park, so a rucksack or trolley might be the answer if you have a large party of adults and children. The loos are better than they used to be, but they can still be unhygienic due to constant use. Wash your hands thoroughly and consider bringing your own hand sanitizer or anti bacterial wet-wipes. Again, forward planning is important if you are to reduce the stress levels and make the day go smoothly. It may be tempting to pile everyone and everything into the family car and set off, but sometimes travelling light and going by public transport is the better option. The Farnborough International Airshow (held once every two years) is one example where travelling by train might be better. In 2016 there was a two hour wait for people trying to leave the main car park after the event on the Saturday. Meanwhile, those who travelled by train simply boarded a free shuttle bus to the train station. However, public transport will not always be an option and you’ll need to make your own way there. If you end up parking in a large field, check your location before leaving the vehicle i.e. remember where you parked! There’s nothing more annoying than trying to find the car when all you want to do is get in and get home. 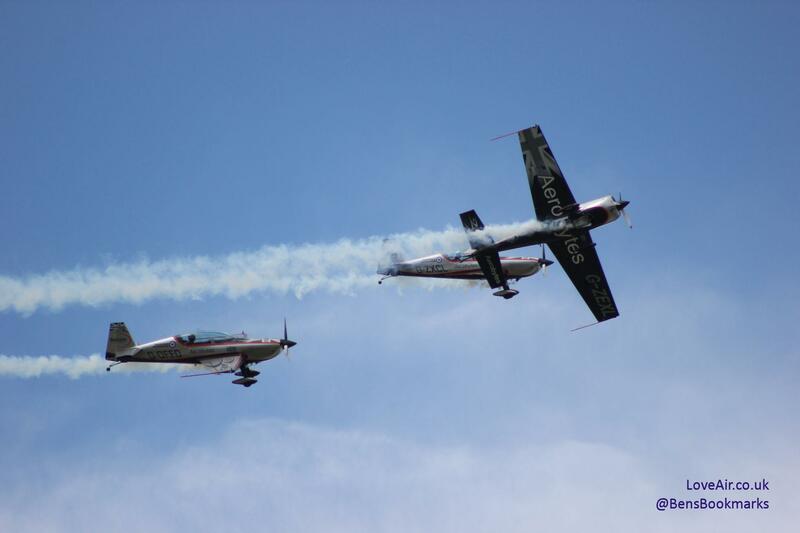 Airshows provide great opportunities for both amateur and professional photographers. No doubt you will see the serious amateurs and the professionals with their large lenses and tripods. 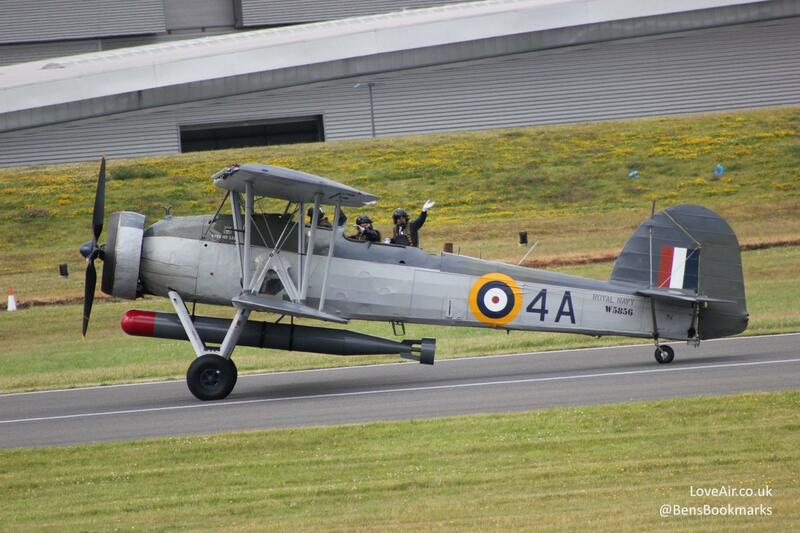 However, taking pictures at airshows is something everyone can have a go at and it can be easy to take some good shots for the album or to share on social media. Your phone or tablet is probably best for taking still images of the static display of aircraft and varies other activities around the site. Without a zoom lens you’re unlikely to get a good picture of aircraft in flight. 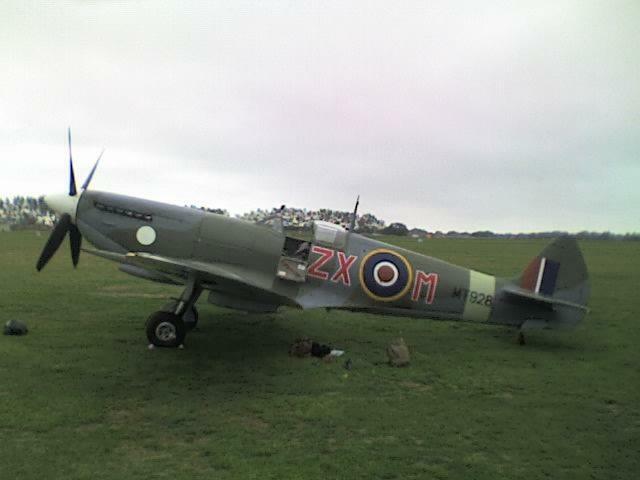 On the other hand you can film the displays on your camera and by so doing capture the sound of a Rolls Royce Merlin engine or some other dramatic engine noise. Finally, a word about safety. Crashes at airshows are extremely rare, but when they do happen the effects tend to be dramatic and consequently they make a lot of headlines. Statistically speaking you’re probably safer at the show itself than you are on the journey to it. 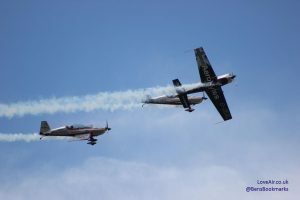 The aviation authorities and the airshow organisers take every precaution they can to keep you safe, and crowds continue to flock to all sizes of shows throughout the year. 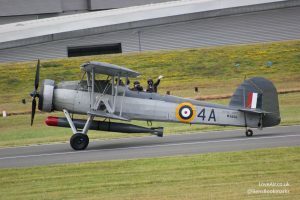 To find out more about airshows and to choose your next one search online for one of the many sites that list them each year, like Flightline UK.